Travel can have a dramatic impact on people’s views and perceptions. It can also facilitate curiosity and break down cultural barriers. As we age, mobility issues or the loss of a travel partner can sometimes interfere with our love of travel. But today, technological advances have made “armchair travel” an option for rediscovering the world without leaving the comforts of home. Check out our travel tips below to find out if armchair travel may be the key to your future exploration. If you have access to the Internet, then the sky’s the limit when it comes to armchair travel. Publications like Afar and Travel + Leisure offer a range of eloquent and descriptive articles that highlight the local food, culture, history, fashion, and outdoor adventure of the world’s best travel destinations. Beyond top-tier magazines, there are oodles of wonderfully-descriptive online travel blogs, written by a variety of people offering different points of view. Exploring online magazines and blogs is a great way to uncover gorgeous photographs and personal anecdotes that can make the travel experience come alive. YouTube is a video streaming service that compiles virtually everything - in video form. It’s simple to use and can be a lot of fun to explore once you get started. If you’ve always wanted to see an Italian chef make homemade pasta in Rome, for example, simply search for this topic on YouTube and you will get a list of video choices. Make a list of what you want to see and start searching. You will be amazed at the delightful surprises you can find on YouTube. Beyond technology, one of the best ways to discover new places is by simply picking out a few good travel books. Whether you take a gander at a guidebook, read a travel journal written by a great explorer, or gaze at beautiful images in a coffee table book, exploring new places through the written word can be extremely satisfying. Your local library is probably a good source for travel books. If you’re going to set out on an “armchair journey”, why not invite friends and family to join and make it a social event? Choose a destination and plan a themed get-together with food, decorations and even trivia questions related to your location of choice. You will have fun exploring a new place with people you care about, and you’ll probably learn something too! Any type of travel, including “armchair travel”, is more fun with a friend or two. Even a virtual trip can be a powerful shared experience. Having a travel group can also expose you to new destinations that you may not have considered or found on your own. A big benefit of community living at Kyffin Grove is that there are always neighbors on hand to share experiences. 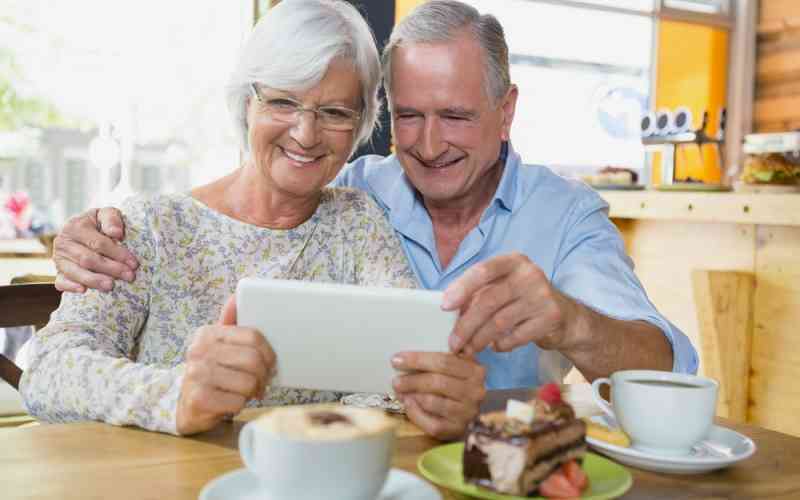 The senior living lifestyle promotes social interaction and exploration of interests. And, having staff on hand for support means that most any passion can be pursued adaptively. Contact Kyffin Grove to learn more or to schedule a tour.